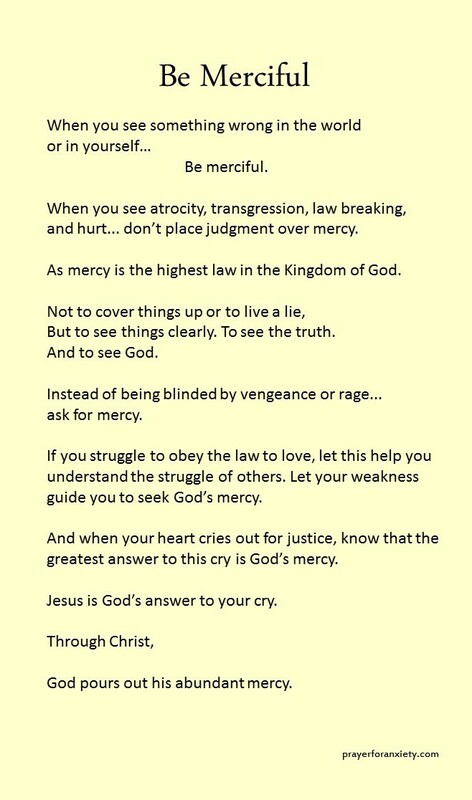 Be guided by the merciful love and forgiveness of God. He expresses his love for us through mercy. This means recognizing God provides an answer to our miseries and weakness . The Son of God is glorified for the salvation of the world. See Prayer for Anxiety’s entire list of prayers and articles. We know the world is full of confusion and conflict. Governments can only do so much. The most powerful and eternal answers are found in God’s plan – manifested fully in his Son, Jesus Christ.